Second Hand household items, furniture, small appliances, tools, sporting supplies etc. We take second hand items (excluding clothes), estates etc. Store hours are from Noon – 6pm Monday to Saturday except Fridays, 10am-5pm. Closed on Sundays. 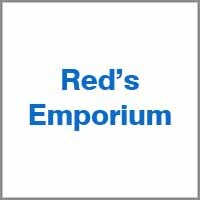 Red’s Emporium is now Ladysmith’s officials Sears Canada Catalogue Pickup Location.